Free Ground Shipping for orders $99 or more! This time of year (the lead up to Christmas) UPS says that any shipments that are in the 3 – 5 day transit zones may take AN ADDITIONAL business day for delivery. From DEC 17th - DEC19, UPS 3 Day Select and 2nd Day Air shipments will take an additional business day. But on the 20th of December 2nd Day Air will go back to 2 business days and should be delivered on Monday the 24th. Priority mail and First Class mail services with the United States Postal Service are NOT guaranteed. These dates are transit times for packages that do not run into any issues with weather delays or other uncontrollable events that could cause delays. Be sure to give yourself plenty of time for receiving gifts before a certain date! Call us at 866-843-3294 if you have any questions or concerns. If you don't think the gift will make it in time and you don't want to waste money on expedited shipping charges, PoolDawg Gift Certificates are a GREAT option! PoolDawg offers FREE SHIPPING on all domestic orders over $99. This offer is for ground service to the 48 contiguous United States using UPS or USPS. If you need to get your package faster you can select expedited shipping for 3 day, 2nd Day and Overnight services at an additional charge. Shipping charges may be calculated by adding items to the shopping cart, entering your zip code, choosing a shipping method and clicking the calculate shipping button. USPS First Class Mail options are generally the cheapest way to go for shipments under .7 pounds and usually take about a weeks time. Priority mail will be delivered in 2-4 business days. Weather events between our location in Colorado and your home could cause delays so make sure you give yourself extra time if possible! Call us if you have any questions or concerns with getting your orders by a certain date. Please note that PoolDawg reserves the right to require a signature on any package. Typically orders over $200 - $300 will need to be signed for. In addition, please be aware that UPS will require a signature based on the individual driver's discretion. 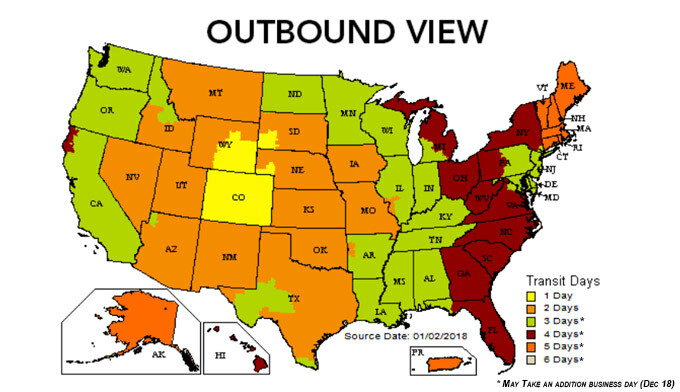 Regular ground shipping within the 48 contiguous United States takes any where from 1 to 6 business days. Time in transit quotes and scheduled delivery dates can be located at the UPS web site once you receive confirmation of shipment and a tracking number has been issued. Please note that Saturday and Sunday are not considered business days by UPS or USPS. Please be advised that PoolDawg.com only collects sales tax for orders originating from the state of Colorado. Customers placing orders from any other state or country are responsible for any taxes or tariffs that their local governments may apply. Monday through Friday 10:30AM to 7:00PM EST. We will always respond to your questions and concerns with in 24 hours.